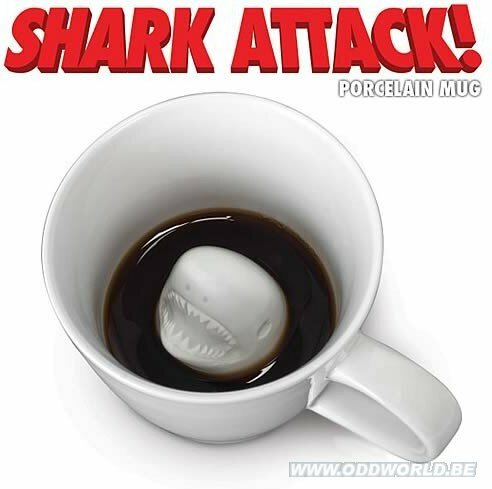 The first few sips from this innocent-looking Shark Attack Porcelain Mug are pretty tame, but as you continue drinking, things get a lot more exciting. What's that lurking in the murky depths of your morning coffee? Holy moly... it's a shark! Yep, the bottom of this 3 1/4-inch tall porcelain mug features the imposing head of a great white shark, lunging up at you. It's a classic gag that's both funny and disconcerting! Dishwasher and microwave safe and arrives in an illustrated box.